Another week already and the theme is yellow over at Twinkle Twinkle Like a Star. 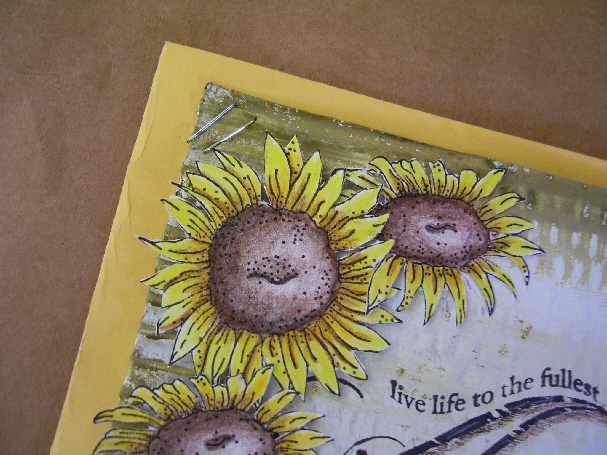 Kristin has challenged us to the theme of yellow and as a bonus to use metallic in your card. Metallic to me can mean many things, a metallic paint, metallic embellishment, metallic flowers, or......Staples. As you can see here I took a piece of corrugated cardboard and applied gesso to it with 2 coats. While the 2nd coat was still wet I added Timberline Green to a corner of my brush and lightly and quickly made a rugged border around the edges. Where the top paper was removed it was a bit tricky but I accomplished my task. I then stamped some sunflowers (thanks for the stamps Mum) onto white card stock coloured them with pencil crayons, then applied one right onto the cardboard and the other 2 were applied using pop dots to raise them off the page for a 3D effect. I also used this cool word flourish stamp( a package of them I recently got at Walmart for a buck) , can't refuse a bargain like that, and stamped the image in Black Soot DI. I then applied my finished top piece to a yellow card with my metallic attachments....Staples. Thanks for looking and I can't wait for the next colour. This is a fun and very rewarding challenge, I want to thank Kristin for taking this on and including my artwork. There are some wonderfully talented people out there, go check them out. I love sunflowers and this is just perfect! 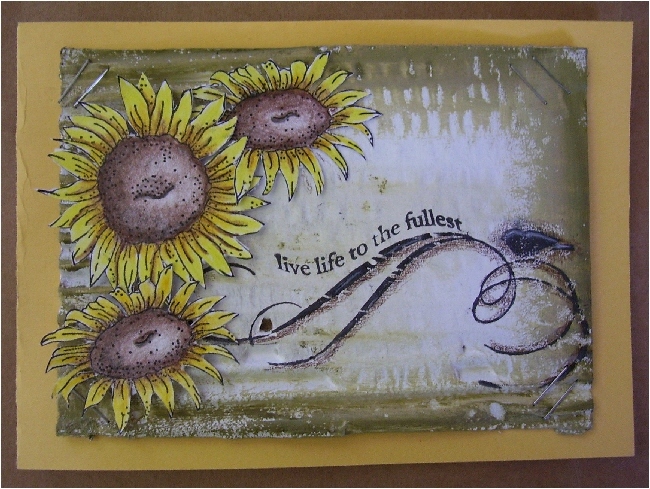 Beautiful card.... sunflowers yes perfect... and I hope you had a great Canada day .. Did you see Wills and Kate???? Isn't funny how you seem to get the most use out of the bargains! I love the sunflower and the background has given me an idea as has the teepee. Thanks Les! You made beautiful sunflowers and thanks for sharing your process - it's always interesting to see/read what steps others go through to reach their end product. Great piece! I love sunflowers! This is so pretty. Really cool card - I like the corrugated card background and the staples! Sunflowers say "summer" to me, love 'em. 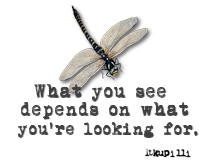 A pretty little piece with a great sentiment. i love anything that is sunflower. :) Gorgeous piece! This is beautiful, I love it. Your work is so special. Thanks for sharing it with us. Anything with sunflowers on it is always pretty, but yours is a little piece of art. I love the way the cardboard looks with those brushes of green. It gives it a dimensional look to it. 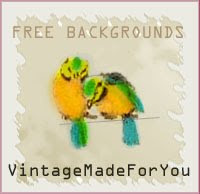 And never, never you should pass by a bargain, specially if it is craft related!!! The staples also look so right for this card. really pretty. I love the yellow staples. I used them in mine as well. I like the cardboard look lots!